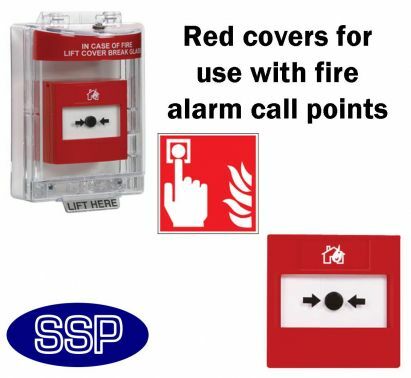 This highly effective, best selling Call Point Cover has been developed to prevent both malicious and accidental false fire alarms, without inhibiting the legitimate use of the call point itself. 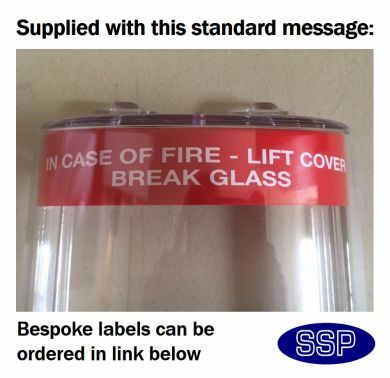 Importantly, this clear, tamper-proof and robust polycarbonate cover offers a highly visible barrier against fire alarms being maliciously raised. 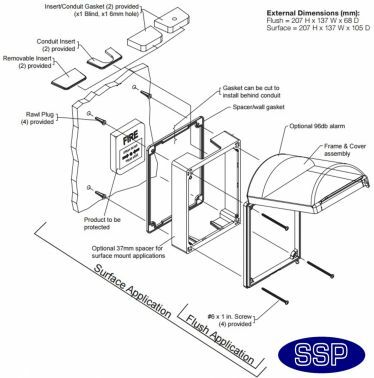 These call point covers also prevent passers-by from accidentally knocking or accidentally leaning against the call point. This call point cover requires little DIY experience to fit. It is easily retro-fitted over previously installed call points using the screws and rawl plugs it is supplied with. Once in place, to operate the call point, simply lift the lid. 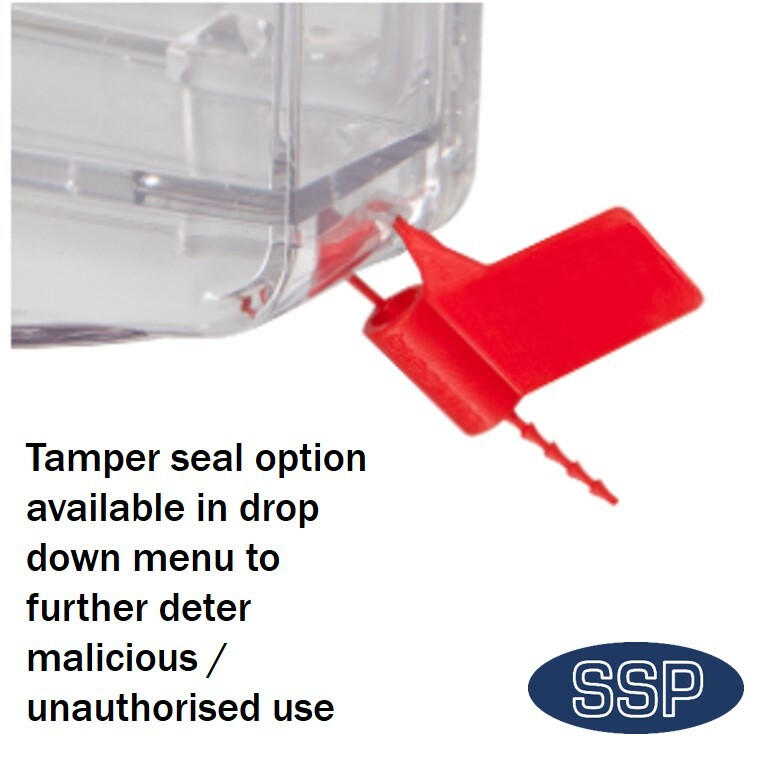 For an additional deterrent, SSP also offers an alarmed version of the same product. Schools, colleges, universities, hospitals, nursing homes, hotels, shopping centre and all public buildings where there is a history or a threat of false fire alarms. Why not attach a frangible lock? In recent times, a number of our customers have asked us to include a frangible lock for extra security. Using the link below you can do just this. 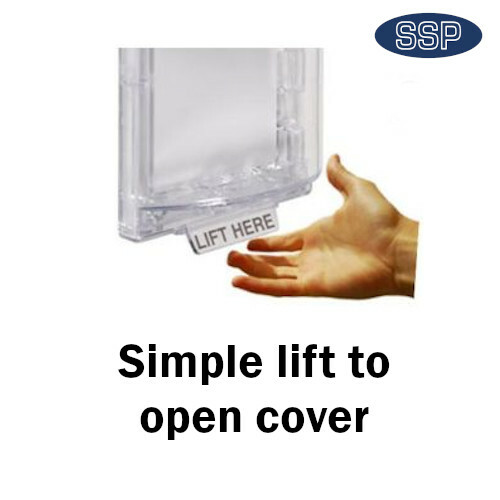 This cover is designed to cover call points that are embedded into the wall and some slimmer surface mounted call points. Before ordering, please check the dimensions. 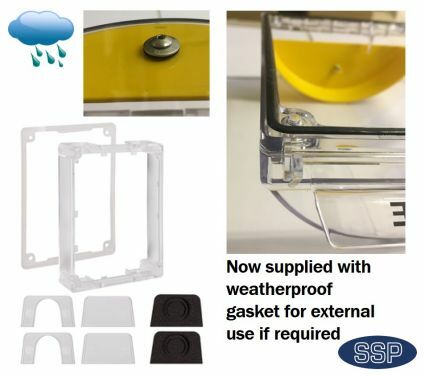 We also do a surface mounted call point cover that incorporate a spacer with pop-outs for the trunking to go through. Want a different message entirely? Price quoted is per unit. 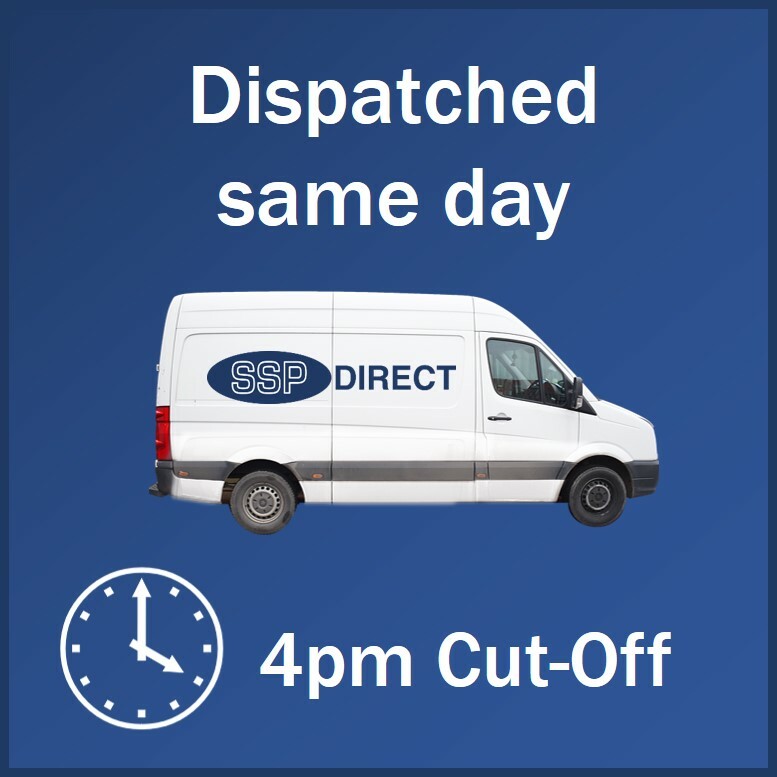 Delivery: Next working day when ordered before 3pm. 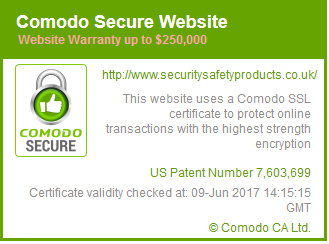 For more information on this product, please see this datasheet. I used your company before and received a very efficient service. 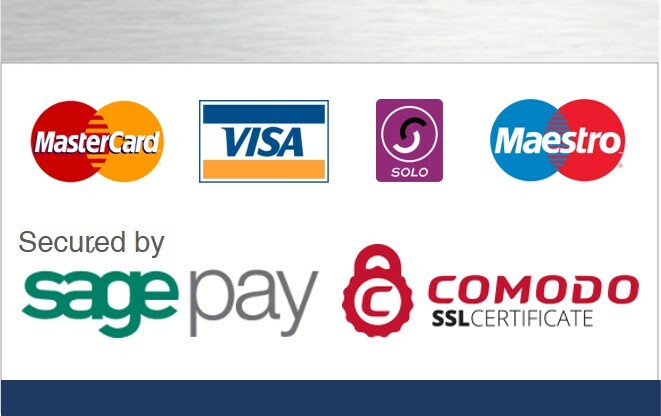 Therefore, I saved your details for any future requirements, the website is easy to navigate and very informative with relation to sizes etc. The product is robust and suits our requirements well. I did also call and believe spoke to Mark/Alistair, where I also received an excellent service. I can therefore rate your overall service 5/5. Do I have to remove the break glass unit or button before installing this cover? No. It is retro-fittable. In plain English this means it will fit over the top of your call point or push button. Simply drill four holes around the device, insert RAWL plugs provided and screw the cover into place. 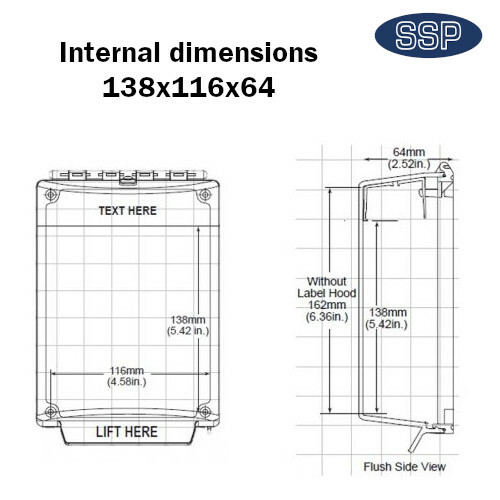 If there is any trunking or conduit (wires) going into the button or break glass, be sure to order the surface mounted version of this cover. What is the difference between a flush mount and surface mounted cover? Perhaps a little confusingly, flush or surface refers to the button or break glass unit itself. If the button is flush it is built into the wall. If it is surface mounted it is screwed on top of the wall. In essence if the button is inset within the wall it will not protrude that far, nor will it have wires going into the top of it. 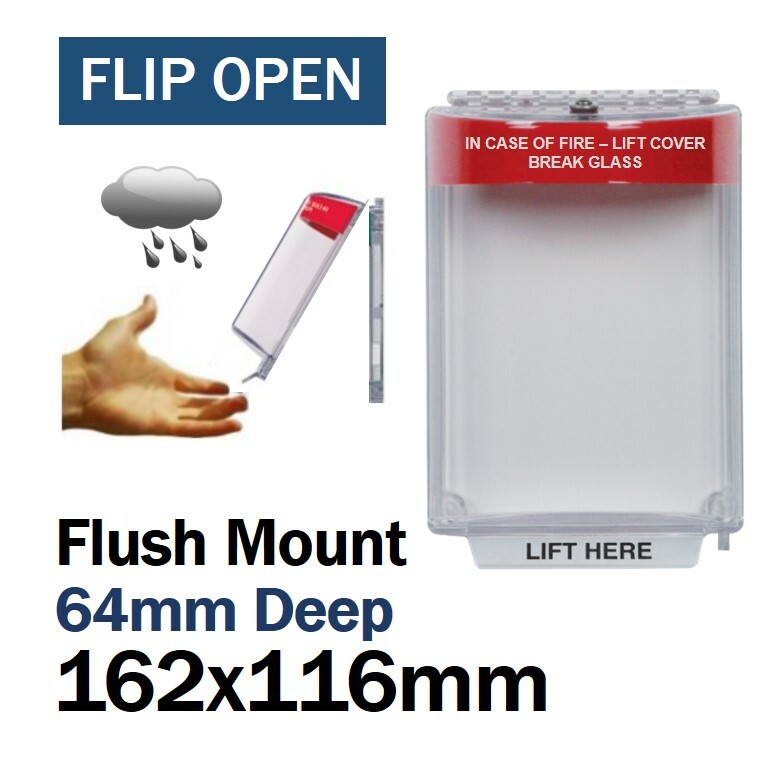 In this instance you will need a flush mounted cover. The truth, the colour coding often ties with the colours of the buttons they are covering, particularly in the case of red and green. Red covers should go over fire alarm call points. Green should go over break glass press to exit buttons. Yellow should go over emergency cut off or shut off buttons and blue is the generic catch all cover that can be used over anything. Can I use this product in a sports hall? This cover is made from 3mm thick shatter proof polycarbonate. 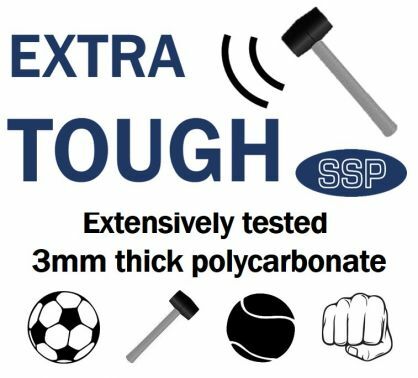 It is incredibly tough and durable. It also has a curved shape to disperse the pressure of any significant impact across its entire surface. 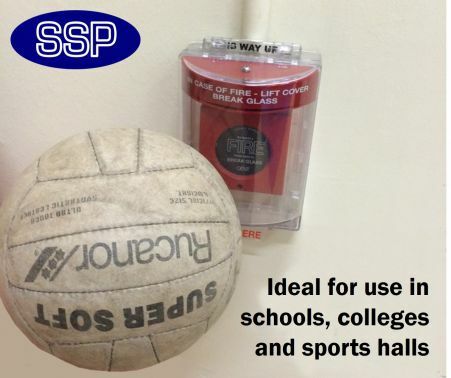 To give you a little reassurance, having been selling this product to sports halls and gyms for many years, we are pleased to say this has never been returned as being unsuitable for this environment. Can I change the message on the cover? Yes. Working with the space available we can pretty much show any message you require. However, please be aware that the lead time on doing this is around 5 days. Can I take the message off? Yes, easy. We can do it for you or you can do it yourself. All that is required is an Allen key to take the coloured plastic out of the top of this unit. You then would need to peel off the message and screw the plastic back into place. This process takes no more than a minute. if you like, SSP can do this at no extra cost. Will I need to order an external cover if the button in question is outside? If the button itself is water proof / weather resistant then in truth you may not need to. The only time you need the order an external cover is when the button or device being covered is not weather proof.